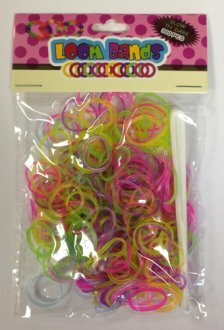 Smiffys Bloody Nurse Kit. 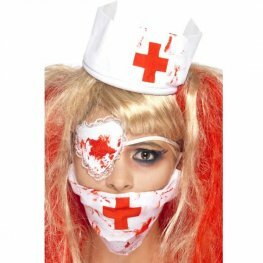 This Halloween blood stained nurse kit contains mask, headpiece and eyepatch with blood effect. 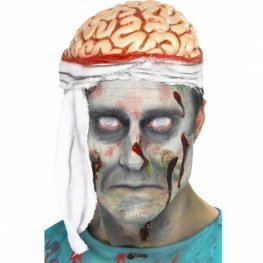 Smiffys Halloween National Horror Service Bandage Brain Hat. 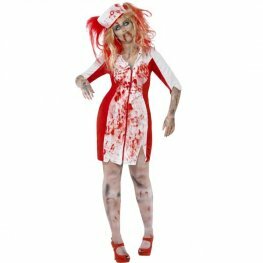 Smiffys Wholesale Accident And Emergency Red And White A and E Nurses Fancy Dress Costumes Includes Dress, Mock Apron And Headpiece. 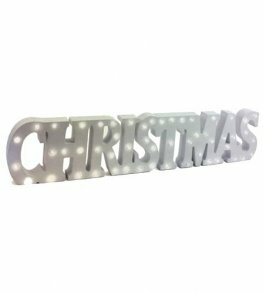 Smiffys A and E scrub nurse fancy dress costume. This costume comes complete with dress, mock apron and headpiece. 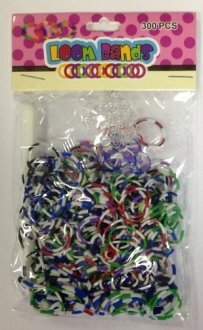 Smiffys Accident And Emergency Doctors Coat male fancy dress costumes. 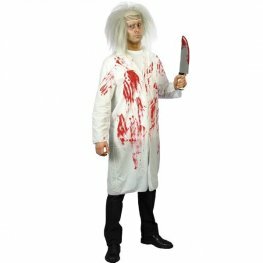 This Doctors Coat with blood costume includes White and red long doctors coat. 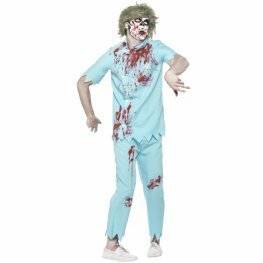 Zombie Dentist Halloween Fancy Dress Costume. This Halloween Costume Includes A Blue Top, Trousers, Face Mask And Latex Teeth. 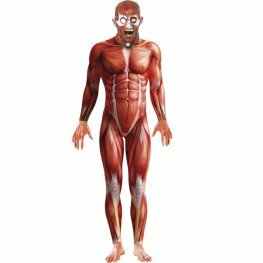 Anatomy Man Halloween Fancy Dress Costume. This Costume Includes A Red Bodysuit And Mask. 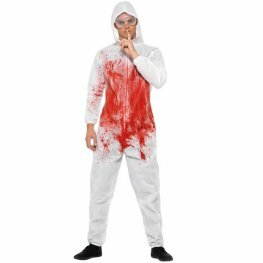 Bloody Forensic Overall Halloween Fancy Dress Costume. This Costume Includes A Bloody Red Jumpsuit And Goggles.